He’s bound to his code, but she’s the one he wants. Will love bring them together, or will duty tear them apart? Firbin is part of the attack on an Albireon stronghold when he rescues Marissa. His expertise in weapons and explosives is needed for the continued skirmish, but he can’t abandon the woman he is starting to bond with. The last thing Marissa remembers is speaking with her boss, the CEO of a multi-national oil company. When a new lethal weapon is used against the Hunters, it is imperative that they track down the location of the devices before they are unleashed on the human race. Will Marissa be able to help them locate the deadly armaments? As the pair work to stay alive, tensions flare and sparks fly. Can Firbin and his team find the weapon before it is too late? Dare Marissa believe that the bond between them is real? aHunter4Fire is the seventh book in a series of standalone sci-fi romance novels. If you like space travel, gorgeous aliens, and sweet romance, then you’ll love the seventh installment of Cynthia Clement’s aHunter4Hire series. Buy aHunter4Fire to take a chance on alien love today! Aerospace engineer Elena Pyetrov travels into space to continue her father’s research. Her ship crashes. Within caves on an alien world, the Knoonk execute their plan to genetically adapt to Earth and displace humans. 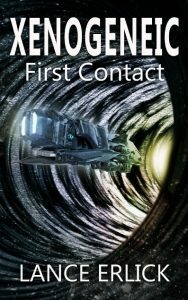 Kidnapped to the closed cave system, Elena finds other humans subjected to Knoonk experiments. There can be no compromise. It is winner take all. With time running out, Elena must dig deep to uncover the alien plan and stop them before humans face extinction. He’s been held captive for thirty years. She’s being chased by an alien organization. When their paths cross, will they be able to find freedom together? Eogan is a Hunter, an elite alien warrior who has been imprisoned on Earth. He has waited patiently for the chance to escape and when it comes, he’s ready. Time is of the essence as he travels to reunite with his fellow Hunters. When he finds Hester fighting for her life, he saves her. Together, they must escape the enemies pursuing them. Despite Hester’s reluctance to believe his growing bond to her, Eogan vows to protect her no matter what the cost. Hester Adams is a professor of archaeology who is intrigued by Gobekli Tepe and alternative history theories. Her excursion to the ruins is destroyed when a jeep full of soldiers surround her and her companions. She barely escapes with her life when Eogan saves her, but her troubles have only begun. Tracked and stalked by a group she has no knowledge of, she is forced to look to Eogan for protection. Men have never found her desirable so can she believe Eogan’s claim of bonding? Dare she risk heartache and admit her own growing attraction to him? Can Eogan and Hester elude the dark forces hunting them and find love? aHunter4Gotten is a Sci-Fi Alien Romance and is Book 6 of the aHunter4Hire Series. When a unit of elite alien warriors known as Hunters, crashes on Earth, they discover that their ancient legends of mating are true. Forbidden to mate on their home planet, they are now free to find the one woman that is fated to become their pair bond. Although each book can be read as a stand-alone story, it is recommended that you read them in order. The only crop left is human. After genetically altered weeds devastate Earth’s croplands, Dr. Tula Macoby believes photosynthetic skin can save the human race. Her people single-mindedly embark on a mission to convert the cannibals roaming what’s left of Earth. But when Levi, a peaceful stranger, refuses alteration, Tula doesn’t think the only options should be conversion or death. Levi Kraybill, a devout member of the Old Order, left his Holdout farmland to seek a cure for his terminally ill son. 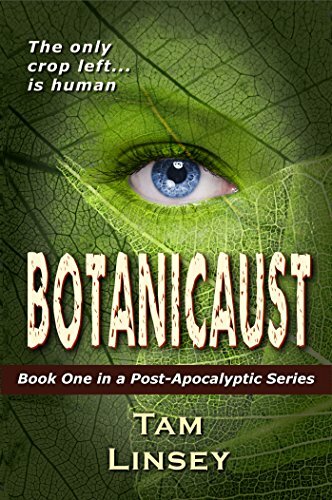 Genetic manipulation is a sin, but Levi will do almost anything for the life of his child. When he’s captured, he’s sure he’s damned, and his only escape will be death. Tula’s superiors schedule Levi’s euthanization, and she risks everything to set the innocent man free. Now she and Levi are outlaws with her people, and she’s an abomination with his. Can they find sanctuary in a cannibal wasteland?